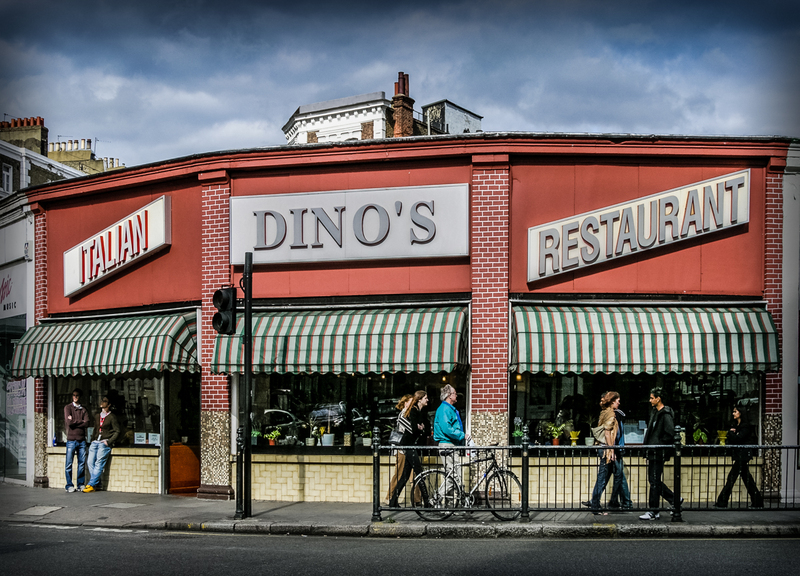 Dino’s Restaurant, 1-3 Pelham Street, Borough od Kensington and Chelsea, London SW7, 2005 • Huge Italian caff that featured in the movie Repulsion. It used to dominate South Kensington, and was so ubiquitous I never photographed it properly. By 2015 it had become the boringly tasteful Muriel’s Kitchen. I was just talking about it on the Art Cinema club on FB. Yes it was lovely in the old days, not so long ago. I was thrilled to see it in the film.